Seven Quick Takes – Who loves ya’? I have to admit that after 30 years of marriage, Valentine’s Day has something of a been-there-done-that feel to it. We love each other madly, but really don’t need a day to revel in it more than we normally do. But here’s a shot from a year or so after we were married and spent six weeks in France and England. On the left is Zouheir’s younger brother. I’ve successfully found a home for the memorial cards I blogged about a few weeks ago. The contact I made through ancestry.ca resulted in a referral to a granddaughter of Samuel, one of the younger siblings of the deceased children. 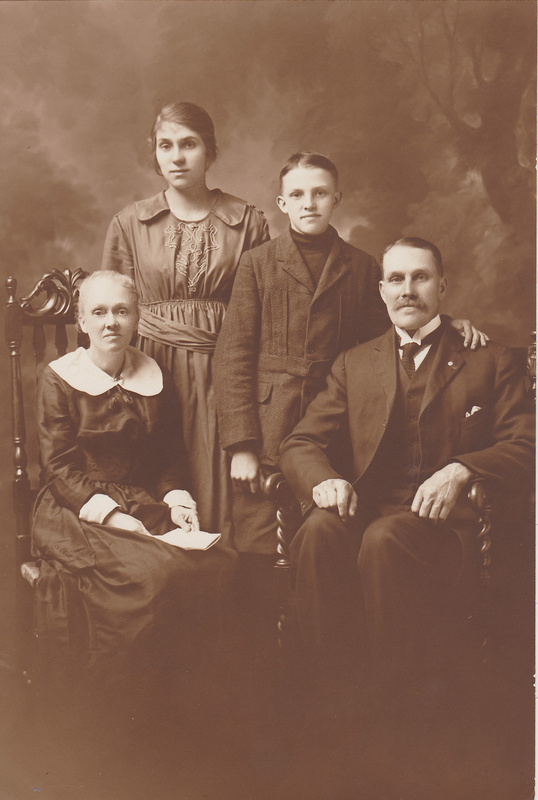 He moved with his wife to Winnipeg MB in 1915 and his granddaughter lives on the west coast. I’ve popped the cards into the mail for her. Last week, I booked a table at a downtown resto for tonight through the Opentable system. Earlier this week, I got a message from them saying that we were seated in the bar, there were no more spots in the dining room, and that we were limited to an hour and a half as they needed the table. I cancelled. And tweeted about it. The restaurant replied to my tweet saying “sorry for the confusion, it’s just an estimate for 2ppl that we try to communicate. You can take as long as you want.” Sorry. Too little too late. Sadly, i’m sure they’ll be fully booked tonight and really don’t care. We’re seeing Heartbeat of Home, part of the Mirvish subscription series, tomorrow night. This is not something I would buy single tickets for, but Richard Ouzounian gave it 4/4 stars so we’ll see what all the fuss is about. We’ve booked a table at Portico before, a new restaurant (to us). I’ve made contact with another branch of my ancestry! My maternal grandmother was a Goddard, and thanks to the intrepid work of members of the Goddard Association of Europe, I have connected with a third cousin who is a sheep farmer in northern Ontario (near New Liskeard.) My second great grandfather William and his great-grandfather John both emigrated to Ontario from Kent in the UK around 1870. The children of Willam came south to Toronto and his grandfather John Jr. went north to Temiskaming. Very exciting! We’re hoping to meet up sometime in March when he’s passing through Toronto. I’m still loving my Bulletproof Coffee every morning. Check it out if you’re looking for a way to feel energized and productive. I’m gonna post more on this topic soon. Lots more Seven Quick Takes over at Conversion Diary!